It is so important, especially in the times that we are currently living in, to encourage and support the young girls in our lives to embrace and love themselves. Too often they are told to be and act in a certain manner that differs greatly from their personality and their hopes and dreams. Young girls should be encouraged and celebrated on expressing their personalities, being creative and chasing their dreams – even if that doesn’t fit into the perfect image of what society thinks a young girl should be or dress like. 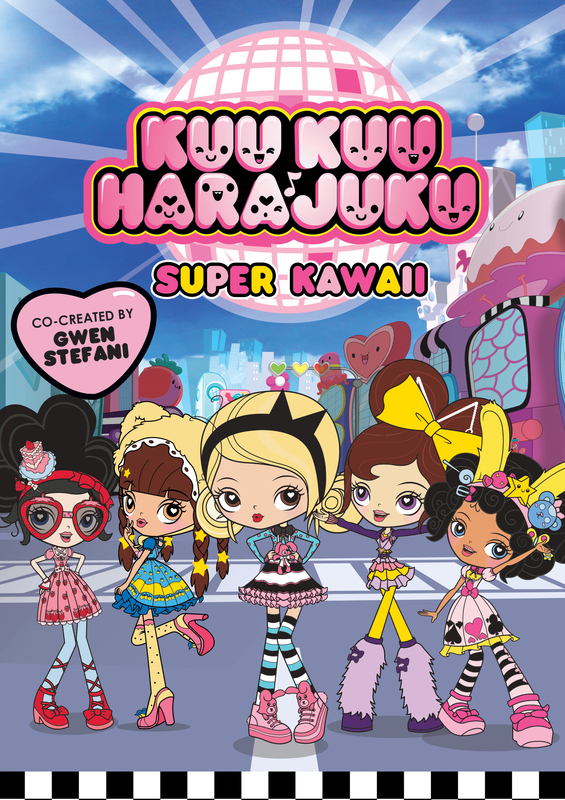 Gwen Stefani’s animated series Kuu Kuu Harajuku is all about celebrating the power and uniqueness of young girls. The series follows the lives of five young girls, Love, Angel, Music, Baby and G, and their band HJ5. G is the leader of this group of fearless young girls who are ready to take the world by storm through music and fashion. The show’s setting is inspired by the street fashion and creative youth culture of the Harajuku district but takes place in a magical fantasy world. The series follows the girls adventures as they travel around the world performing and getting caught up in adventures that fosters loyalty and friendship. 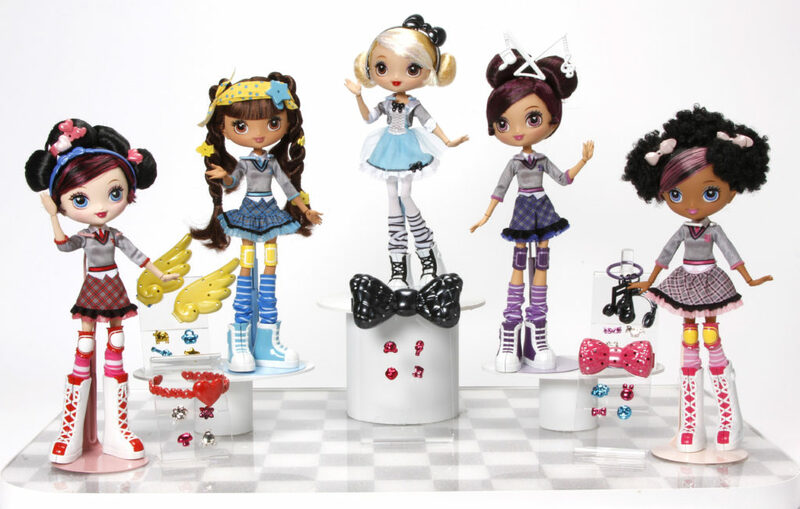 Young girls can now bring the Kuu Kuu Harajuku world to life with the animated series new fashion doll and doll line from Mattel! Mattel infuses the popular Japanese harajuku fashion with the dolls show imagery, allowing young fans to customize and create their own fashions, interchangeable outfits and accessories. Each of the five band members brings their personality to her fashion, brand and doll. Fans have the opportunity to connect with their favourite character and use their own creativity and imagination to bring the doll’s personality to life. Kuu Kuu Harajuku teaches us about loyalty, being true to ourselves all while expressing ourselves the way we want to (go ahead and rock that fashion accessory or item regardless of what anyone else says!). Too often girls are taught to only like certain clothes or styles but this series teaches us to love and show off our style with pride! Two new DVDs featuring a selection of the popular television series are now available for purchase (Music Baby and Super Kawaii). The Music Baby DVD and Super Kawaii DVD can be purchased online at Shout Kids. Each DVD runs roughly from an hour and a half to two hours long. My Canadian and American readers can now enter to win a Kuu Kuu Harajuku prize pack valued at $70 that includes: 1 doll purse, 1 fashion doll, Kuu Kuu Harajuku Music Baby DVD, Kuu Kuu Harajuku Super Kawaii DVD. Enter via the rafflecopter form below – good luck! Disclosure: I received the above prize pack free of charge in order to facilitate this review. All opinions expressed are my own. This entry was posted in giveaway, Movies, reviews. No i have not seen the Kuu Kuu Harajuku series,but the music sure appeals and the message they send to young girls! 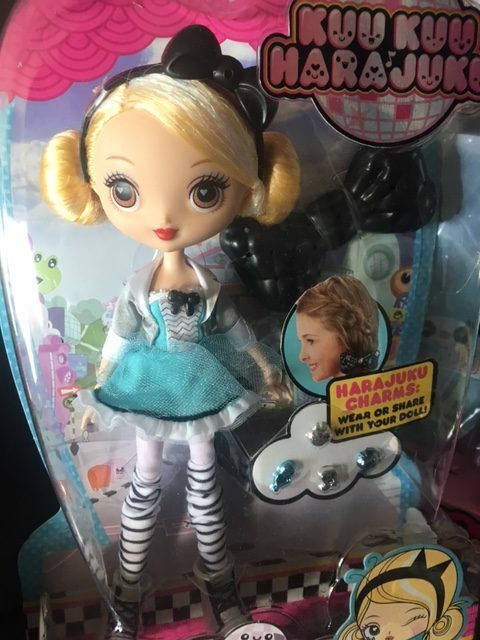 I’ve never seen the Kuu Kuu Harajuku series but I adore Gwen Stefani! I haven’t seen the show myself but have heard of it. I’m a huge Gwen Stefani fan and know any little girl would love this. Neither myself or Emily have heard or seen the show but she saw the dolls and likes those!! a Kuu Kuu Harajuku Prize Pack. Have you seen the Kuu Kuu Harajuku series? and What appeals the most to you about this show? No i haven’t seen this show but what appeals to me is the music. and i think my niece might like this show. I have not seen it yet but i am going to search for it. My girls watch it often. We love the music and the fun story lines. I have not seen it yet but I am sure the music would appeal to me. I have a feeling my niece would love it. I have seen it once and I like that they have distinct personality and they are not afraid to express themselves. music and love listening to Gwen Steffani. It would be lovely! I haven’t heard of this show before. I have not seen it yet. I think they are cute, and the music would appeal to my granddaughter. This is the first I’ve heard of it but it sound awesome! I haven’t seen this show yet! I haven’t seen the show yet but it sounds awesome and the music would appeal to me. We haven’t seen it but I have a weak spot for everything Gwen Stefani! i havent seen the series but my daughter has and she likes the characters. I have not personally seen it but my niece loves it and she says her favorite is the music. I have not seen it, but my daughter has been wanting to see it. I have not seen it, but I know my granddaughter would love it. Gwen Stefani is one of her favorites. I havent seen this series yet, but my daughter has been asking to watch it, she said it looks good.